Sony has teased a string of new games for its PSVR virtual reality headset hardware prior to the E3 video games show in Los Angeles. VR content for role-playing adventure Skyrim was shown, as was a new first-person horror title, The Inpatient. A virtual reality fishing simulator for Final Fantasy - Monster of the Deep - was also debuted. It contrasts sharply with rival Microsoft's announcements at E3 this year, which barely mentioned VR. Last week, Sony revealed that it has sold one million PSVR headsets to date, meaning there is already a sizeable market for new VR titles. The company also used its E3 show to highlight a string of new blockbuster titles that will be coming to the PS4. "You could say that they're using VR as a differentiating factor," said Brian Blau, a video games analyst at Gartner. "VR experiences on PlayStation are pretty good." One further example of a brand new VR title unveiled at the briefing was Bravo Team - a first-person shooter from Supermassive Games, the developers behind Until Dawn. Mr Blau added that he thought Sony showed off a "great line-up" but that E3 was becoming less focused on major news announcements. "The tech vendors want to have their own events and have the spotlight on themselves," he told the BBC. "There are challenges with E3 this year, the conference is changing somewhat and there are more fans there." Using the show as a place where fans and games designers could interact was becoming increasingly common, he suggested. Here's the thing - if you were either an Xbox or PlayStation fan heading into E3, nothing on show here this year will have changed your allegiance. This PlayStation showcase was intended to keep up the company's momentum in the console war, continuing over two years of sales dominance. More than 60 million PS4 consoles have been sold, against an estimated 26 million Xbox One machines. Spiderman was the headline game. Hollywood-class stunts and incredible visuals, though quite how much gaming is required it's not clear - it looked more like an interactive cut scene to me, with prompts to wildly tap certain buttons at the right moment. 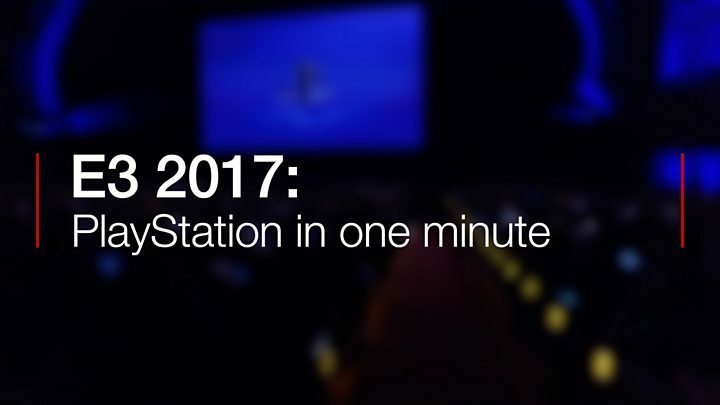 Unlike the Xbox event on Sunday, where VR didn't feature, Sony did lay out a few titles - though nothing that seemed particularly ambitious. Creatively speaking, The Inpatient looked to be a daring pitch set, as it is, in a psychiatric hospital. "In 2017 it continues to be all about the games," said Shawn Layden, president and chief executive of Sony Interactive Entertainment America, as he introduced the showcase. "PlayStation is home to all the biggest and best franchises in the world." Spiderman - a major exclusive for the PS4 - will arrive in 2018, the firm revealed, having shown off new gameplay. The web-slinging hero was seen in a dramatic chase with a helicopter flying through a cityscape. Among others titles were a remake of Shadow of the Colossus, also expected in 2018, and Monster Hunter World, due early the same year. And there was more footage of God of War - a highly anticipated action game, first teased at Sony's E3 event in 2016. Before the firm's main briefing got under way, it announced a new feature for PlayStation owners - PlayLink, which lets friends join gaming experiences via their smartphones. Sony announced some games that will make use of this feature, including That's You, a party-style experience in which friends answer humorous questions about each other and doodle competitively on their smartphones' touchscreens. "PlayLink is there to promote local, social play using smartphones as second screen," said IHS Technology analyst Piers Harding-Rolls on Twitter. However, he added, "Second screen gaming has never been very popular."